Why go through the hassle and stress of ensuring your commercial door is functioning securely, when you’re not there? Throw that worry away, and let us handle your door application in making it aesthetically appealing, thermal efficient and long-lasting durability. Garage Door Ottawa is always on the go; geared and ready to fix your door and deal with your urgent situation with our handy and reliable team of experts. We are a phone call away to finding you the specific commercial overhead door for your business that is well suited to your needs, security and budget as well. 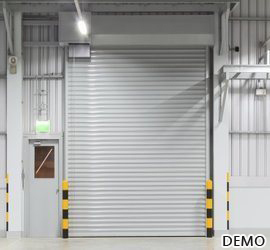 Whether your business lacks storage facility, or you’re looking for warehouse or dock installation, our A-grade commercial overhead doors will provide you with the security, quality and worry-free doors service you need. When your business requires a secure and solidly constructed rolling sheet or thermos sandwich style doors, Garage Door Ottawa offers you a full line of high-quality commercial sectional doors. Our selections include but are not limited to insulated and non-insulated doors, R-value doors, multi-usage doors and plenty more. Garage Door Ottawa wants to make sure that your worries and needs are taken care of. With our dedicated professionals, we work closely with your business to ensure that we exceed your expectations and cater efficiently to your business in a timely and budget-conscious manner. Contact us at (613) 845-9950 for a lifetime no regrets experience.